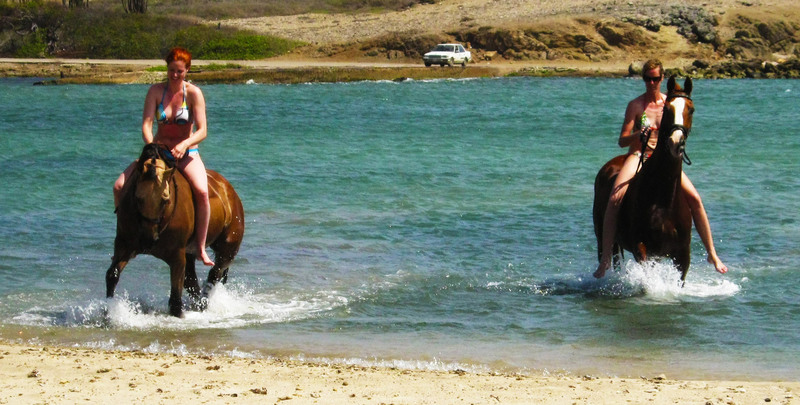 Bonaire’s best known places for horseback riding are Rancho Washikemba on Bonaire’s eastern side, and the Horse Ranch Bonaire, on the western side, located only a short drive from Bonaire’s capital Kralendijk. At both of these facilities, guests can schedule horse riding lessons at the ranch, or explore the island on a horseback trail ride. There are two options available when signing up for one of their trail rides; lagoon tour or kunuku-tour. The trails are catered for riders of all skill levels to enjoy.